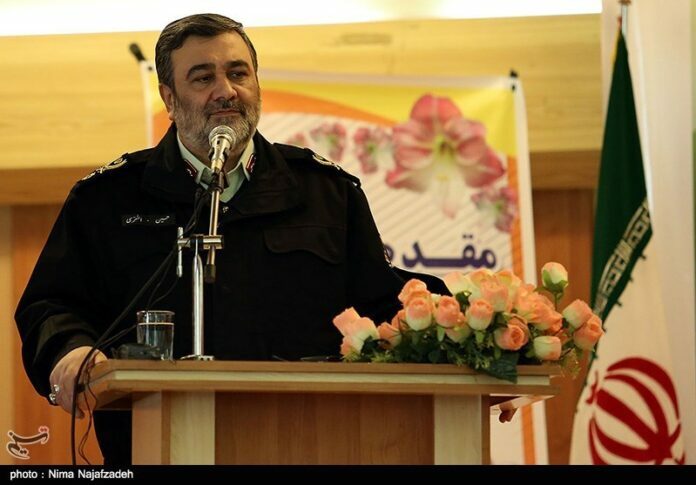 Iran’s Police Chief Brigadier General Hossein Ashtari said the country dispatched an elite police team to Brazil after the South American country asked for the Islamic Republic’s assistance in ensuring security of the 2016 Olympic Games in Rio de Janeiro. Speaking in a meeting with foreign ambassadors and Charge d’affaires in Tehran on Wednesday, Brigadier General Ashtari highlighted Iran’s interaction with other countries in the area of security. He said Brazil recently requested for Iran’s cooperation in providing security in the Rio Olympics. Following the request, the Iranian Police Force dispatched an elite team of its forces to Brazil, the commander added. Elsewhere in his remarks, Ashtari highlighted Iran’s campaign against illicit drugs, saying the country’s seizure of about 500 tons of various types of illicit drugs per year indicates the Islamic Republic’ serious resolve in the campaign. The war on drug trade originating from Afghanistan has claimed the lives of nearly 4,000 Iranian police officers over the past 34 years.